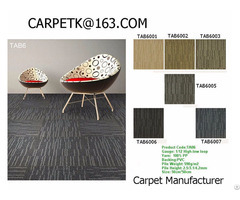 FM: Michael Zhang, E mail: carpetk AT 163.com, TEL: +86-631-5319651, We own three carpet factories in China, Which produce carpet, Axminster, Wilton, Carpet tile (Modular Carpet), Tufted carpet, Printed carpet, Hand Tufted carpet and Rug. 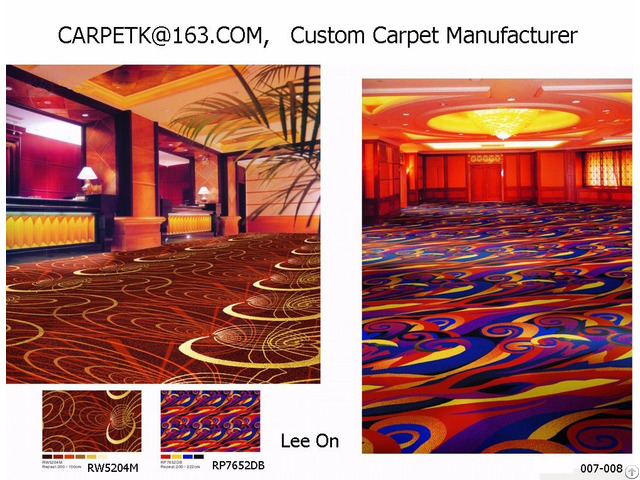 We custom make (customize) carpets and rugs according to your designs, colors or samples, We also have our own designs and designers, Welcome OEM. We are awarded ISO9001, ISO14001, CRI Green Plus, IMO DNV marine ship Carpet Certificates, All of our carpets have passed the tests of USA, EC standards for hotels, residential, and marine carpets of ship, cruise, vessel. Carpet bidding are keen competitive, Chinese labor are cheaper, Our carpets are good and cheap enough to win in keen competition, With our carpets you can get much more projects and profits than before. We are expecting to become your carpet production base, Just like that you have a carpet factory in China. 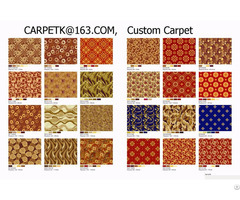 David Industrial Group Limited, Custom Make Carpets & Rugs Manufacturer. 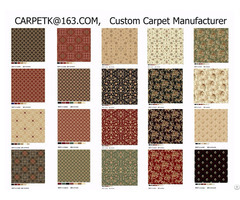 China carpet, Chinese, axminster, Chinese axminster, tile, modular, hand tufted, custom, customize, custom make, customise, oem, manufacturer, Axminster manufacturer, Axminster of, wholesale, co., inc., distributor, supplier, Chinese tile, Chinese hand tufted, Chinese custom, Chinese manufacturer, hotel manufacturer, hotel supplier, export, oriental rug, rug, wilton, printed, Tufted, Chinese wilton, Chinese printed, imo, DNV, Chinese imo, machine tufted, custom axminster, custom wilton, custom hand tufted, custom printed, custom tufted, Chinese custom axminster, oem axminster, hand tufted of, tile manufacturer, Axminster factory, manufacturing in, customized with logo, Chinese manufacturer, custom company, top 10 manufacturers, major manufacturers, top 10 brands, manufacturer brands, manufacturing corporation, commercial tile, modular squares, hand tufted manufacturer, wool manufacturer, Chinese wool rugs, rug from, Chinese rug, rugs wholesale factory, Chinese hand tufted wool rugs, Chinese wool area rugs, Chinese oriental rugs, Chinese sculpted rugs, oriental rugs from, custom runners, Norske Veritas, oem wilton, oem hand tufted, oem printed, oem tufted, factory, guestroom, corridor, lobby, runner, commercial, residential, Chinese tufted, company, tuft, print, vessel, ship, wall to wall, broad loom, roll, tufting, printing, marine, interior, decoration, suite, banquet, meeting, ballroom, dancer, dance hall, restaurant, decorative, hospitality, wholesaler, cheaper, LLC, b.v., ag, gmbh.